Jockey Trevor McCarthy rode five winners Tuesday afternoon at Parx Racing in Pennsylvania, each paying a healthy ROI of $9 or more. McCarthy, a graduate of A.I. 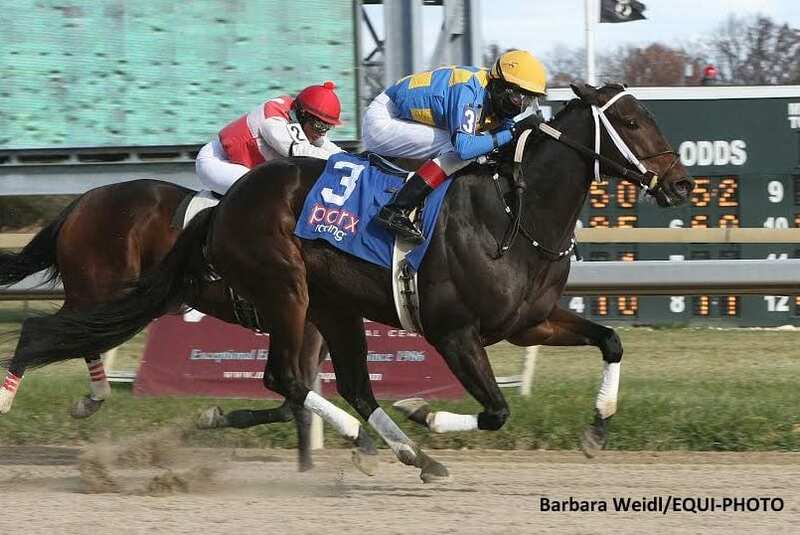 duPont High School in Greenville, Delaware, notched his first winner on the day with Magical Fire ($10) for trainer Mario Serey, Jr. in the first race. The 22-year-old native of Wilmington, Delaware, notched his second winner aboard North Ocean ($9.40) for trainer Charles Hadry in the second. He followed with victories aboard Trulamo ($18) for trainer Jamie Ness in the fourth, Fillupcohensapiker ($9) for Andrew Simoff in the fifth and Thea's Reign ($24.40) for Donald White in the eighth. According to the Daily Racing Form, North Ocean and Thea's Reign were pick-up mounts for McCarthy after J.D. Acosta had to take off his rides to attend to a family matter. McCarthy has ridden 18 winners from 97 starters at Parx, good for 21st in the track's nearly year-round standings. The young jockey has primarily been riding at Laurel Park in Maryland, where he is second in the jockey standings with 36 winners. This entry was posted in People and tagged andrew simoff, charles hadry, donald white, five wins, Jamie Ness, Mario Serey, parx, Parx Racing, trevor mccarthy by Paulick Report Staff. Bookmark the permalink.